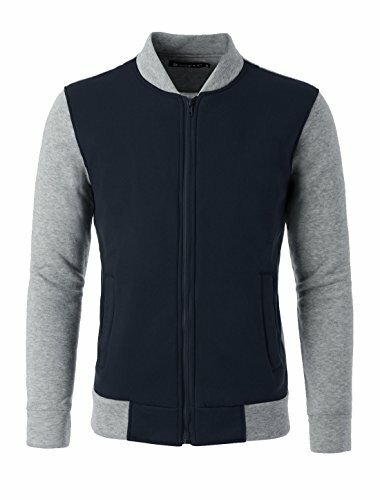 This laid-back jacket is featuring color-block front, two slanted pockets and classic athletic detail-a slick baseball collar. Its soft lined interior gives you warmth without adding weight. This is how you add a little sport to your streetwear roster (even if you are more comfortable in the stands than on the field). Color Block style, 2 side pockets.